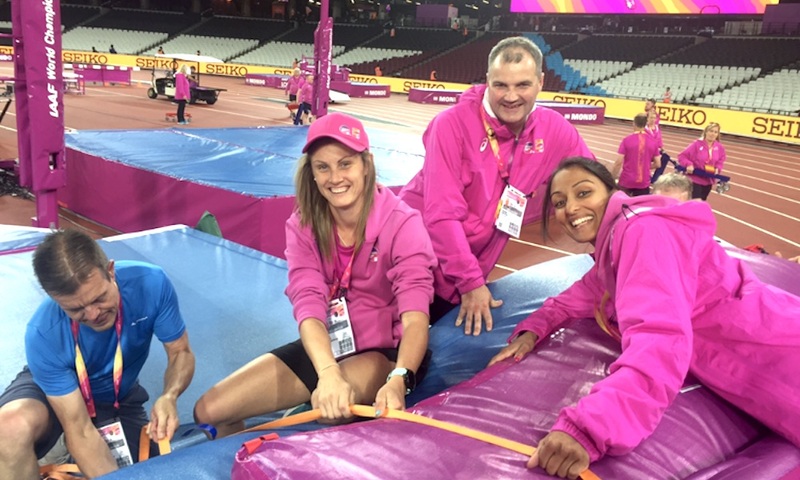 Laura Riches pays homage to all the volunteers behind the scenes who make athletics happen. 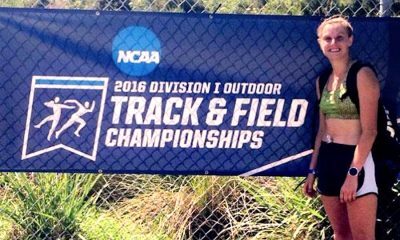 What is athletics without volunteers? Well, the answer to that is simple. The sport would not exist. It would not function, and the opportunities for amateur and elite competition in the U.K. and around the world would be minimal. For myself, and the many others I met at the 2012 Olympic Games in London, volunteering has become more than just making the sport that we love happen. It has become a big part of our lives. And I’m pretty sure, that without the annual trip to the Olympic Park to work at the Anniversary Games, a part our lives would go unfilled. In 2012 ages 17, athletics mad, and having been inspired by the amazing coaches and volunteers at Leigh Harriers, I decided I would apply to be a Games Maker at the Olympics. Perfectly happy to be placed anywhere around the country, at training venues, in Manchester, Birmingham or London, or even outside train stations pointing spectators in the right direction. As I saw it I would still be part of 2012 and the great spectacular show that was set to be put on in the UK. However, I guess I could say I was one of the lucky ones, placed as part of the Field of Play team on the athletics track at Olympic Park. But, never could I have imagined just what a truly amazing and life-enhancing experience it would become. The memory of standing on the track, ready to put out cones for the men’s 10,000m, as Jess Ennis did her lap of honour, and Greg Rutherford jumped into the lead in the long jump on super Saturday, will stay with me forever. That could be because I kind of forgot to put the cones out on time as I was completely in ore of what was going on around me, and getting a loud yell down the track “move now, get the cones out now”. But that never dampened my spirits. 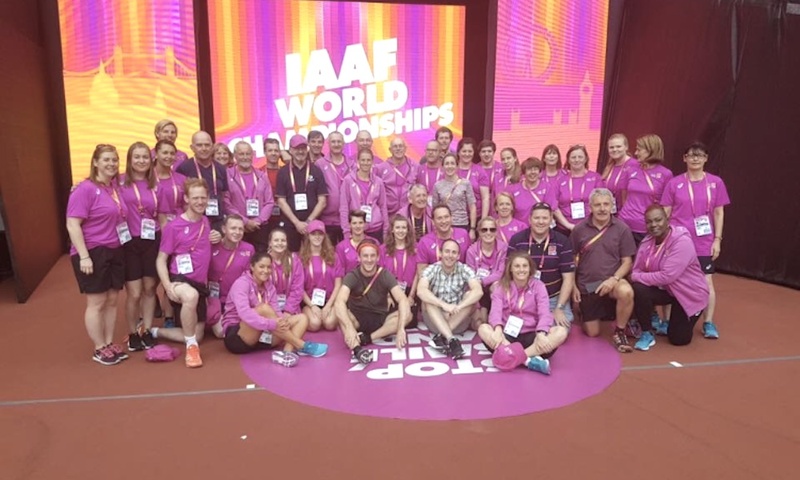 Since 2012, our group of volunteers, our new team of likeminded individuals with a huge passion for not just athletics but for sport in general, have been working year in year out at athletics events around the country and some even around the world. 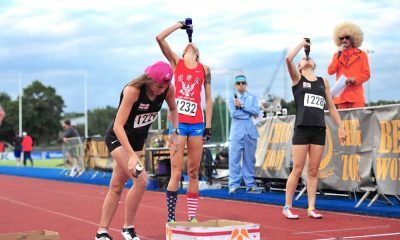 I wonder if without the great event of 2012, would we still be volunteering and giving up the small bit of free time we have to help make these athletics events happen? I honestly think that year lit the spark for many of us. But these opportunities are always arising for anyone and everyone to get involved. I’ll give you a little taste of what we do as part of the Field of Play team, not only do we set up, and take down lots of equipment for the events, before, after and during the events, but we are also in charge of putting the blocks and hurdles out. Also known as ‘a silver service with a maître d’ or ‘military precision’ as Matthew Pinsent said in 2012. 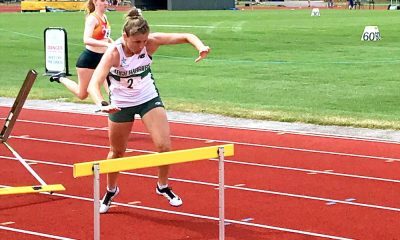 The difficult task that is placed upon the team leaders to set up, take down 100m hurdles, followed immediately by 400m hurdles, used to take some work, but now I’m pretty sure it’s a subconscious action, I often wake up putting hurdles out in my sleep. Haha, maybe not quite, but after six years of hurdle practice, it would be worrying if it wasn’t now second nature. The one thing that I love about volunteering, is the sheer passion for the sport and the hard work that is shown by everyone. 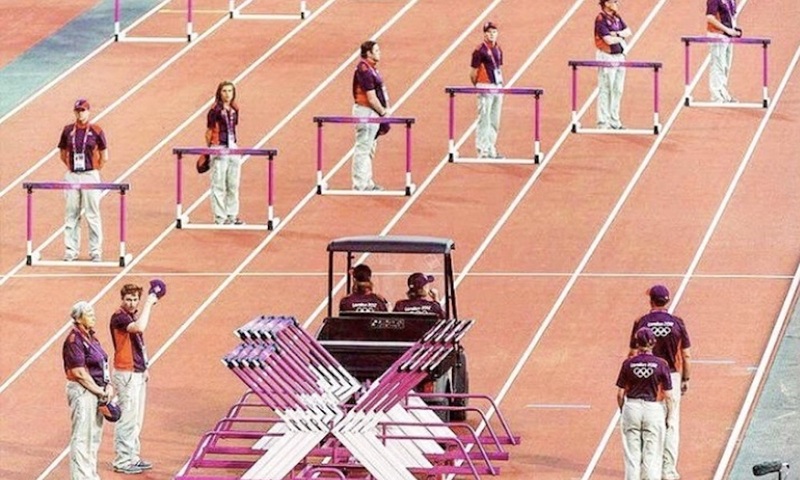 Nothing is ever too much of a job, before, during or after the day of athletics. At every event, I always hear the same question asked: “Is there anything I can do to help?” I ask myself is this because of the ‘type of person’ that chooses to volunteer or is this a collective passion for the sport we all love. Athletics is an interesting sport, and not like football or rugby, where the players, fans and volunteers are all completely separate entities. Within athletics, this is so different, the spectators interact, thank and applaud the volunteers, as do the athletes interact not just with the fans but with us volunteers too. Athletics really is something special, which I have had the opportunity to witness from a number of different angles. But the fact that anyone of any age, gender, experience or profession, can come along and become part of something, involving lots of teamwork, and a great deal of hard work, is pretty amazing. It’s fantastic that since the London 2017 World Championships, when we thought volunteering at major events would be over, the prospect of future major events in the UK has kept that spark alive. So to all those club coaches and officials, technical officials, event staff and volunteers, know the sport would not run without you and your kind heart. You are truly changing the sport, and mine has certainly been changed. 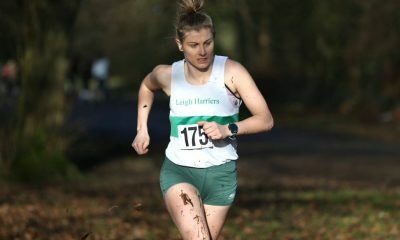 Laura Riches features in the ‘Fast 10: class of 2018’ and is sharing her running journey throughout the year. You can read Laura’s previous posts here and further information about the ‘class of 2018’ can be found here.